Her biological mother was 17 years old when she got pregnant, the biological father is unknown because she apparently had many lovers. Before she gave birth to Tsubasa, she married another man who was a "workaholic". Right after giving birth, Tsubasa's biological mother commited suicide. The workaholic stepfather, unable to raise a child, remarried again to a woman who is Tsubasa's current mother. The workaholic father soon died from overwork and the current mother married another man who is now Tsubasa's current father. Prior to the beginning of Bakemonogatari Hanekawa was possessed by a bakeneko (mischievous spirit of a dead cat) during Golden Week due to stress over her family (see Nekomonogatari: Kuro). The matter was eventually resolved with the help of Shinobu at the cost of some of Hanekawa's memories, but the problem emerged again right before the school festival because of different stress. 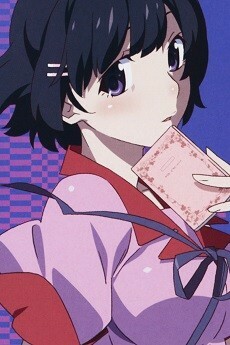 Araragi was told by Hanekawa's bakeneko form that she has feelings for him. In 'Tsubasa Tiger' (Nekomonogatari: Shiro), on her way to school, she met a tiger spirit which spoke to her. Soon buildings important to Hanekawa began to mysteriously burn down and 'Black Hanekawa' (her bakeneko form) began to take over her body every time she slept. The inevitable showdown was afoot and led to some surprising events. 'Tsubasa Tiger' is written from the perspective of Hanekawa rather than Araragi.